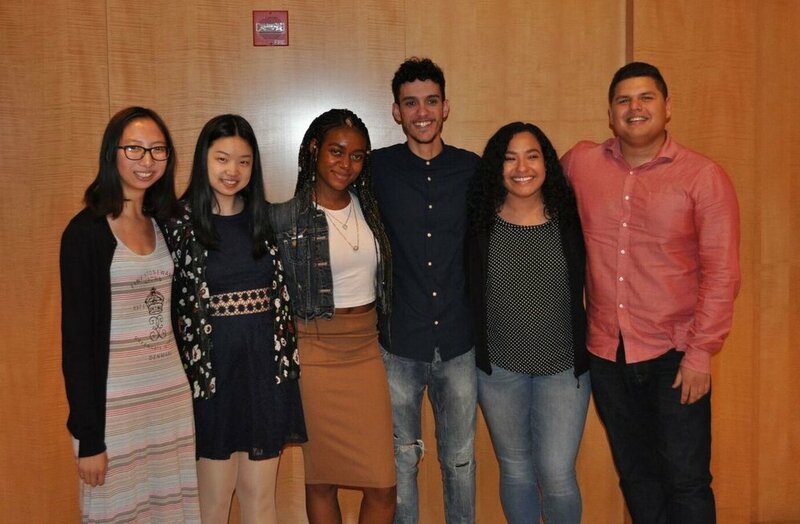 In June Breakthrough New York students, families, staff, Board members, and supporters gathered at the Edwin Gould Foundation to celebrate a major milestone: the first BTNY class to receive ten years of support has graduated from college! In addition to plenty of mingling, the eight graduates were presented with certificates and gifts to commemorate their inspiring achievements. At the gathering, we announced the launch of the Breakthrough New York Alumni Association. While still in its early stages, this group will help our alumni stay connected with resources—and with the Breakthrough family—for years to come. The Alumni Association intends to provide access to leadership and professional development opportunities, financial and retirement planning, and volunteer activities to stay engaged. Abigail Agbi graduated early from the State University of New York at Fredonia with a degree in Biochemistry and has already been accepted to not one, but three Master’s programs—at SUNY University at Buffalo, Cornell University, and the University of Rochester. We’re sure she will thrive no matter where she ends up. Aaliyah Jackson graduated from the State University of New York at Geneseo with a degree in communications. While in school, she worked at the school radio station and SNEWS TV. She is pursuing opportunities in public relations or journalism. Cindy Chen, who graduated with an Asian studies degree from Carleton College, spent her last semester in Japan. She is returning to New York to pursue her dream of becoming a foreign language teacher. Cindy recently began working as a Teaching Assistant at a Chinese Language School. Gabriel Lopez, who worked as a BTNY Teaching Fellow, graduated from Columbia University and its Fu Foundation School of Engineering with a degree in computer science and is exploring several job opportunities. Jillian Elkin graduated a semester early in December from Vassar College with a degree in film. She taught English in Russia this past spring, and will leverage that experience to transition into film-related opportunities. Joshua Vega is working towards his Master’s in mental health counseling through Pace University’s dual degree program. Inspired by his time as a BTNY Teaching Fellow, he hopes to help kids overcome challenges. Kathryn Vargas received her degree in psychology from Wesleyan University and is exploring a career in counseling. We are confident she will go on to help others thrive. Sebastian Sanchez, who graduated from Middlebury College, landed a job with the prestigious real estate firm Cushman and Wakefield. We are thrilled he is returning home to work out of the Brooklyn office! Sebastian was also selected by his peers to deliver the 2018 Student Commencement Address. A moment of silence was held in memory of Amanda Miner, a bright and passionate member of the class of 2018 who passed away suddenly in March of last year. She had dreamed of becoming a teacher after graduating from Lafayette College. We miss her dearly. We cannot wait to see our graduates take on the world—we know they will continue to create change in their communities and beyond!